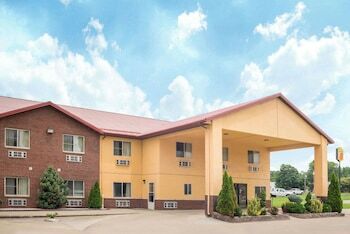 Located in Olney, Super 8 by Wyndham Olney is within a 15-minute walk of Olney Central College and Olney Township Town Hall. Free self parking is available onsite. A stay at The Holiday Motel & Restaurant places you in the heart of Olney, within a 5-minute drive of Olney Central College and Olney Township Town Hall. Free self parking is available onsite. With a stay at Traveler's Inn Motel in Olney, you'll be within a 5-minute drive of Olney Township Town Hall and Alvin Musgrove Park. Free self parking is available onsite.